Local online marketing for small business. Dominate your local business market. Time-tested social media marketing services. Engage your prospects, leads, and customers. Collaborate with our internet marketing experts. Develop your internet marketing strategy. Execute your online marketing plan. Internet marketing services with a great return on investment. A top Search Engine Optimization company in Los Angeles, our team of experts provide professional search engine optimization and internet marketing services to small business owners, service based businesses, licensed professionals, and eCommerce companies. Whether you are looking for local optimization, mobile optimization, reputation management, review articles, pay-per-click advertising, email marketing, or other internet marketing to boost your business online, the professionals at Search Optimize Me can help. Find out why you get the best results from us over other services in California. We understand that time and budget can be the top constraints for a small business owner or startup company. Our award winning social media marketing services start at a low monthly fee and include regular posting on sites like Facebook, Twitter, LinkedIn, and more. Small business marketing online is critical to business growth, which is why our professional team is poised and ready to partner with you. The Proof: Search Google for “seo company california” and find us on the first page organically. We take time to learn about your business goals, objectives, and target audience; while you learn the secrets to successfully market your business online. Our professional business relationship must be symbiotic to achieve success. A Tested and Proven Process. We understand the importance of good communication during the life of any good social media or SEO campaign. That’s why business marketing meetings are built in to our process. Our clients receive regular notifications about exactly what marketing work completed and results of performance. We demand client participation. Superlative organic SEO services that increase ranking and traffic. Call (818) 839-1963 to speak with a specialist. 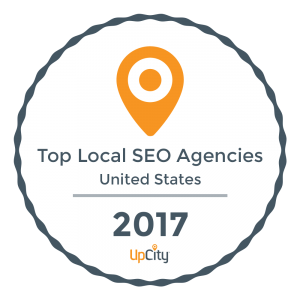 Our local SEO services are designed to help small to medium-sized businesses get local visibility. Companies with multiple locations will benefit from regional services to gain a more prominent online presence. We work with large corporations to establish and compete at a national level. Our experts can audit your website to diagnose any issues that may affect user experience, functionality, or search engine rankings. Find out why we were rated among the few Top Local Agencies in Los Angeles. A top rated SMM agency, our social media experts will help you determine how to market your business, engage, and educate the world about your products and services. We can use social media to tell the world why your company is better than other companies that compete. If they don’t know, they can’t hire you. Our social media marketing team to develop a strategy that works for your business model based on a proven track record. Before you hire us, get a social media audit to create a baseline for social performance based on proven analytics. In addition to posting content, our social team can pinpoint ads on social networks to target your demographic. Scan your business to find out how your business appears across the internet. Use our website scan tool to find out how whether your website is mobile friendly, has errors, and what type of traffic it is currently generating. This tool is used by our SEO experts to audit, repair, and optimize your website online. It’s free and we don’t collect your email address. Who Is the Best SEO Company in California? Search Engine Optimization is our bread and butter, specializing in working directly with business owners. Our tailored tactics put us at the top of Google for our market, allowing us to work with clients world-wide as a top SEO company in California. The science behind search engine optimization is to drive qualified leads directly to your website. In order to do this, your website must qualify for premium keyword phrases on first page of search engines like Google, Yahoo, Bing, AOL, and more. Our expert services will contribute to achieving high organic placement for keywords that best reflect your services will help your business to grow. Check out our profile on clutch.co. We understand how difficult it is to invest so much money into SEO, an industry not well understood. Our search engine experts are happy to explain exactly what they do to accomplish the goals for your business. There’s no secrets… just lots of hard work, exactly what you’d expect from a top company. At Search Optimize Me, we can only guarantee that you’ll be satisfied with our services or we’ll do free work indefinitely until you are satisfied. Our California SEO agency and team is dedicated to customer satisfaction. Who is the best SEO company in California? You decide. We’re obviously biased. As a leading SEO firm, our customers often experience a 200-300% increase in overall business growth within the first year. Our competitive pricing for optimization services allows for a return on investment (ROI) that pays for itself in just a few months, while the long-term benefits far outweigh the investment. That’s why our best SEO services come with a customer satisfaction guarantee.